Appearance (0-20): Torano seems to always put out some nice looking sticks. This one is no exception to the rule, and hit the mark again. The medium brown Colorado wrapper has no physical flaws, and has a somewhat glossy look to it. While it’s not oily, it does have a sheen to it. The band is a vibrant silver and black, with various symbols and branding. 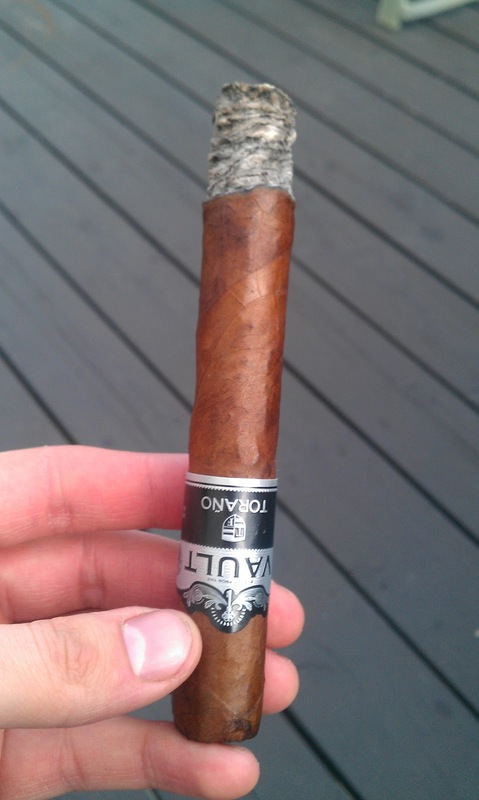 The secondary band on the foot is used to denote which blend Torano decided to use for this particular cigar. Construction (0-20): Running my fingers around the wrapper, I did notice that there were two different soft spots. Luckily these didn’t affect the smoke, but I did have that in the back of my mind as the ash approached them. The ash held on for a solid 1.75 inches, and had various shades of gray. The draw was easy and cool. Strength (0-20): The strength was nothing unexpected, and it sat right in the middle of the scale at medium. Not much else to report other than the medium heft. Flavor (0-20): There starts off with a quick bit of spice, but that quickly subsides. The next handful of draws will yield some earthy and woody tones. The main flavoring that I was getting was a strong cedar, yet you’ll find hints of sweetness that could be compared to espresso. The hints of spice will move in and out, but nothing like the first ½ inch. Value (0-20): Right around $7.00, Torano dropped this in the right price range. While I didn’t feel as though this was a “wow” stick, it could be a repeat purchase. 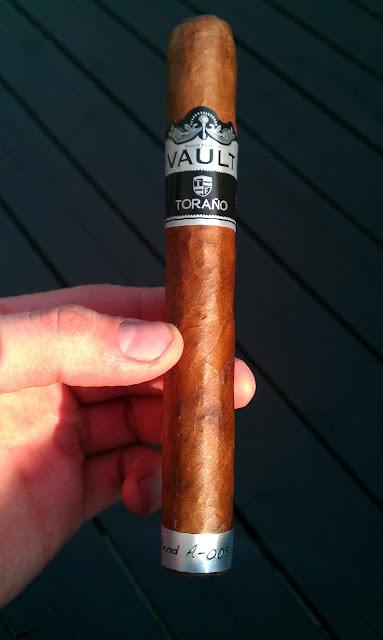 Overall (0-100): Personally, I haven’t smoked many Torano cigars before. I would like that to change, as I have heard some very good things about the Exodus line. As mentioned earlier, I didn’t feel anything amazing about this cigar, but it was still a solid smoke. After not having many smokes from this manufacturer, it clearly gave me a reason to go out and buy some more products from him. Overall, well done.